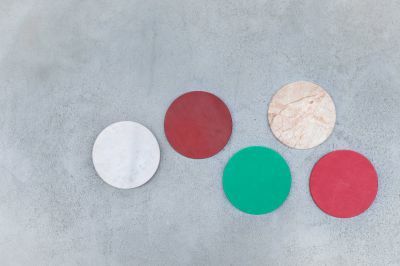 As an addition to their oeuvre, Muller Van Severen created several sets of five well attuned circle-shaped objects to be used as trays. 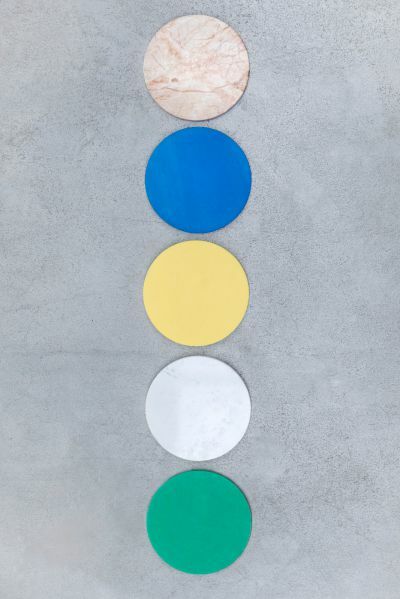 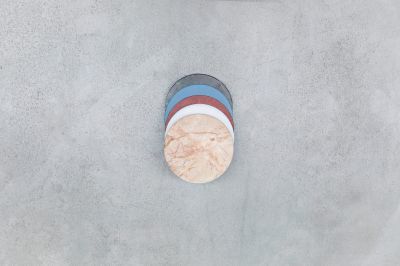 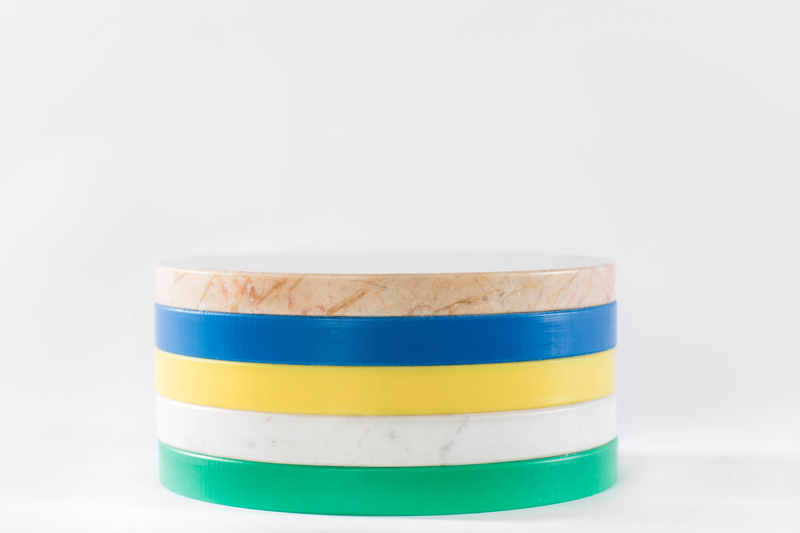 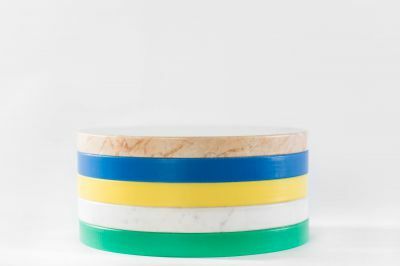 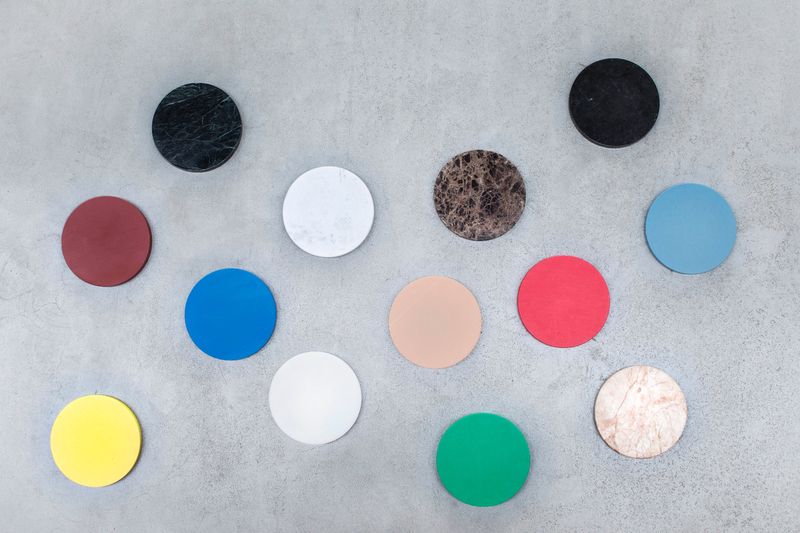 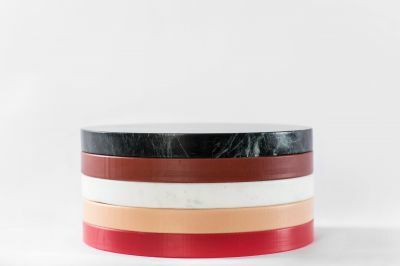 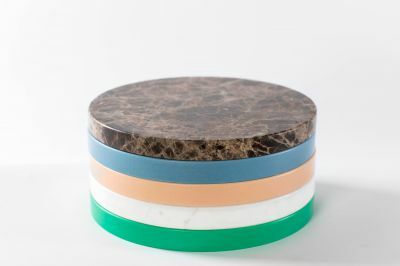 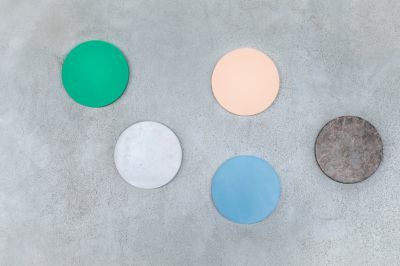 "five circles" consists of three polyethylene and wo marble disks, Muller Van Severen's two favourite materials from the beginning. 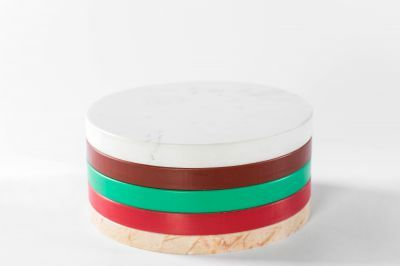 When piled up these five disks, with a diameter of 21 cm and a thickness of 2 cm, form a cooful sculpture on the dining table. Their vison: let's not hide the objects we use, let them be part of the interior.